Are 80 million potential voluntourists, slacktivists & DIY humanitarians the future of charity? Forgive the catchy headline, but this is still a development blog ;)! To answer my question straight away: No, of course not. Harrison volunteered to spend the next two years in West Africa. What he found when he first got to Liberia was a drinking water crisis. He watched 7-year-olds drink regularly from chocolate-colored swamps — water, he says, that he wouldn't let his dog drink. Most childhood diseases in the developing countries he visited could be traced to unsafe drinking water, so everything changed for Harrison. He got inspired to start raising money for clean water when he returned to the states, but his friends were wary But this is not a critical post about Charity Water and development entrepreneurs (there was a nuanced debate on the organization over at Humanosphere last year). 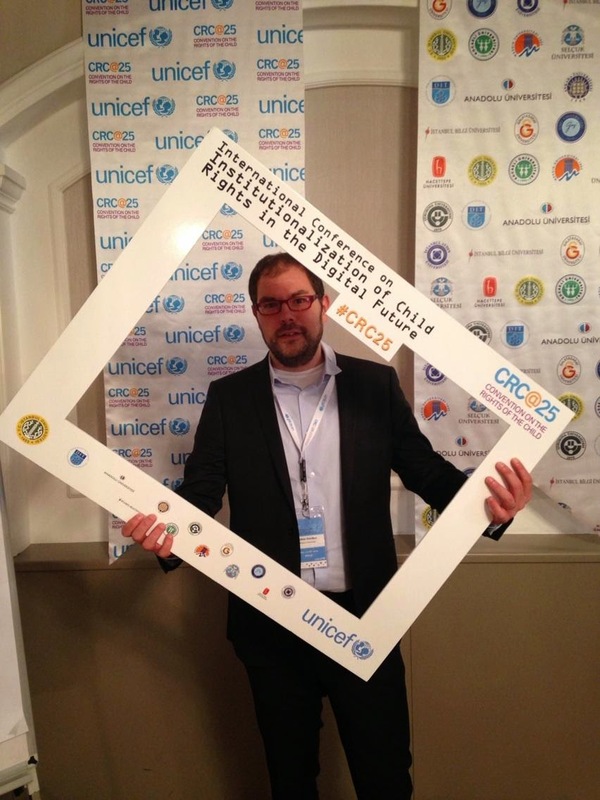 This week's review comes live from Istanbul where UNICEF and academics are going to discuss child rights in the digital future. And there are plenty of interesting links and readings to be discovered! New publications focusing on the digital representations; more on the recurring theme on all-male panels and conferences, RCTs, sanitation in Bangladesh, Ebola & global governance, Ebola & failed technology, expat living without staff; in our digital lives we ask whether you should you stop reading news, explore the age of 'super-excitedness', learn about the future of transportation in a brilliant piece of critical futuristic writing, and visit Zadie Smith's 'beach' in Manhattan...the academic links focus on twittering scientists, the emergence of 'non-elite journals' and an interview with anthropological blogging veteran Savage Mind! Should the voices of senior consultants feature more prominently in public debates on international development? It has probably happened to you before as well: Every so often I receive a short facebook message or email by a senior development consultant – women and men with probably 15, often 20 or more years of paid professional employment inside the ‘aid industry’ – they basically started before it was even called an ‘industry’! The messages are usually short, sometimes straight from ‘the field’ (i.e. really uncomfortable, dangerous and complex locations) and often along the lines of ‘little do you/that researcher/this journalist really know about organization X or the crisis in region Y’. It's Friday and time for some recommended readings! New publications, development news with a peace & conflict focus, digital lives with Firechat, traveling chef Anthony Bourdain and Vice news' missing Chinese wall between content and marketing (? ); an open access issue of Anthropology Matters and the questionof how Oxford's PPE degree fosters elite group-think. I went to Cape Town and I was so touched by the women that I met. I felt inspired and I came home and I knew that I had to do something. I didn’t know what I had to do, but I knew I had to do something.